Bengaluru, India: Myntra will soon kick start the 7th edition of the nation’s most awaited fashion sale event, Myntra’s End of Reason Sale (EORS). The biggest Fashion sale is ready with over 5 lakh styles on offer from 2000 global and domestic brands at 50-80% discounts; to be held between 22nd and 25th of December, 2017. Myntra expects over 60% sales from Tier 2 and 3 cities and is set to clock 25x in sales over a normal day on Day 1 of EORS. Jabong will also be participating in the sale for the 3rd time and is expecting 15x sales of a normal day. Top global brands such as Nike, Adidas, Puma, Forever 21, Swarovski, Tommy Hilfiger, Jack & Jones, Flying Machine, Marks & Spencer and Mango along with Myntra’s private labels such as Roadster, HRX, All About You, Anouk and Dressberry among others will be available at attractive prices during the sale. 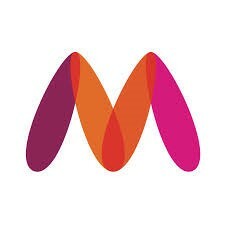 Myntra has introduced innovative methods of engaging customers during each season of EORS and has launched a new and improved version of its social shopping feature known as Myntra Shopping Groups for this edition. Myntra Shopping Groups enables customers to form groups of shoppers consisting of their friends and families on the platform and shop together to avail special discounts and offers. Group members will be eligible for multiple rewards and discounts depending on the size of their shopping bags. Customers will also be eligible for getting early access to the sale through VIP slots. Based on its success, Myntra expects 5 lakh groups with 15 lakh people to be created for this EORS which is a 40% increase over the previous edition. In addition shoppers can avail 15% cashback on using Citibank cards and Airtel Payments Bank and flat Rs 150 cashback on PhonePe. Customers will be eligible for free shipping on all orders during EORS.